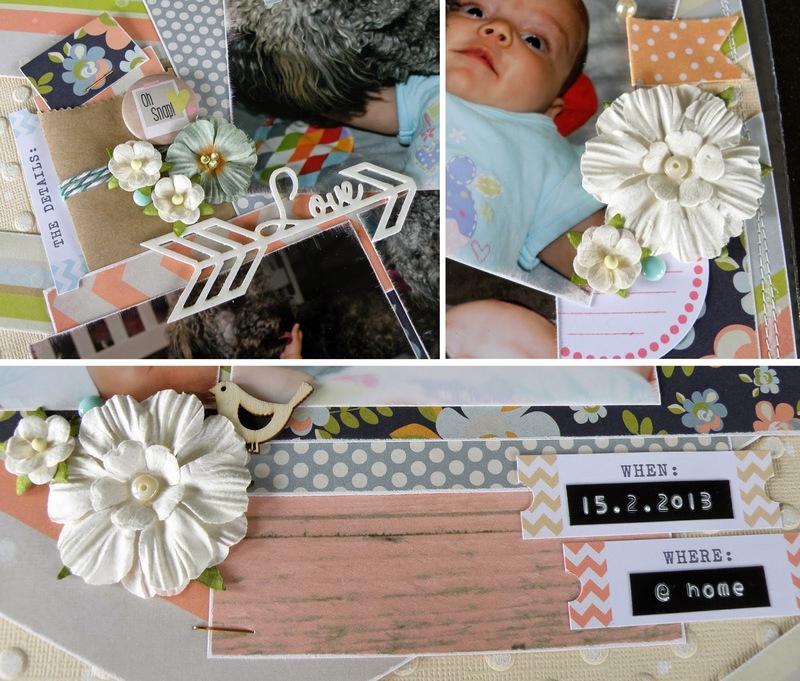 Today I'm sharing another layout of Kara which I've created for D-lish Scraps. If it seems there's an awful lot of Kara on my blog lately its because her first birthday was in November and I'm desperately trying to finish her album of our favourite photos from her first year. It was supposed to be her birthday present and I'd really like to have it to her mum and dad before the New Year! The bond between Kara and Hershey is quite sweet. He really can't seem to get enough of her and being the little opportunist he is, sneaks in kisses whenever he can. LOL .. Hershey Kisses!! Hershey Kisses! That's hilarious! What a fab page Alz. I hope you and your family all have a wonderful Christmas and a happy 2014. Thank you for your ongoing support too - it's very much appreciated.